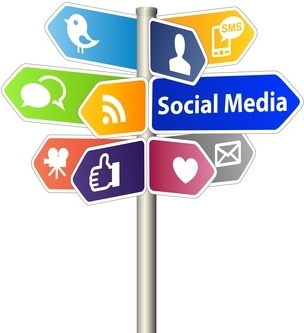 E-Quip Blog: What Are the Best Online Marketing Practices? There are no aspects of selling that technical professionals struggle with more than cold calling and lead generation. Wouldn't it be nice if more prospective clients contacted you with leads? That's the most tangible result of effective marketing, and these days the best marketing practices are increasingly moving online. Last week I mentioned the research of the marketing firm Hinge that examined online marketing for professional services. 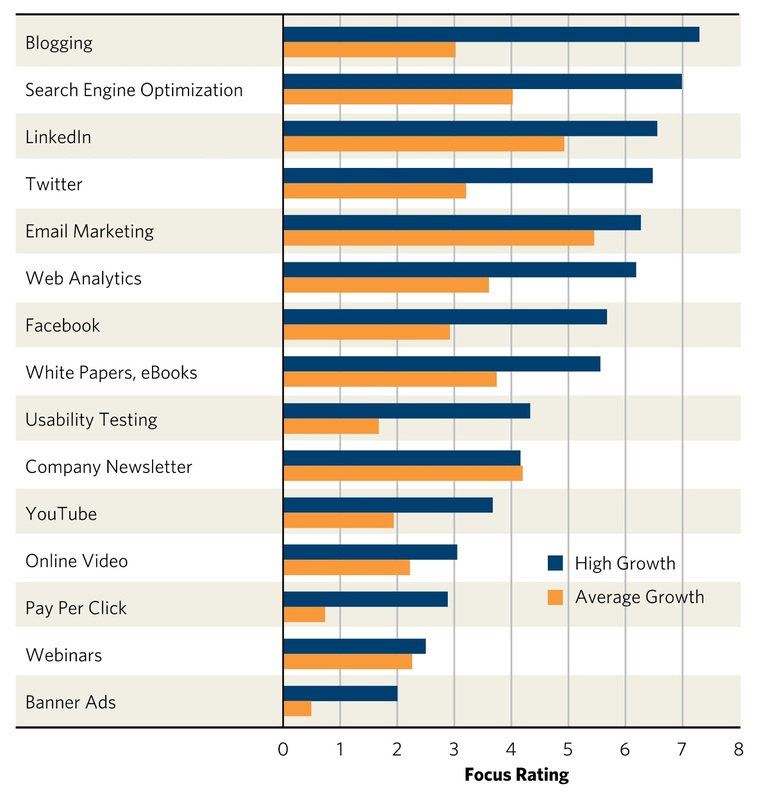 They found that firms that generated more leads online enjoyed faster growth and higher profit. The difference was particularly pronounced among A/E firms, which generated the fewest proportion of leads online (8.3%). Yet those that generated at least 40% of their leads online had a median two-year growth rate of 100%, compared to only 0.7% for all A/E firms. Search engine optimization. There's a common misconception that the best way to increase your Google page rank is to buy Google AdWords. 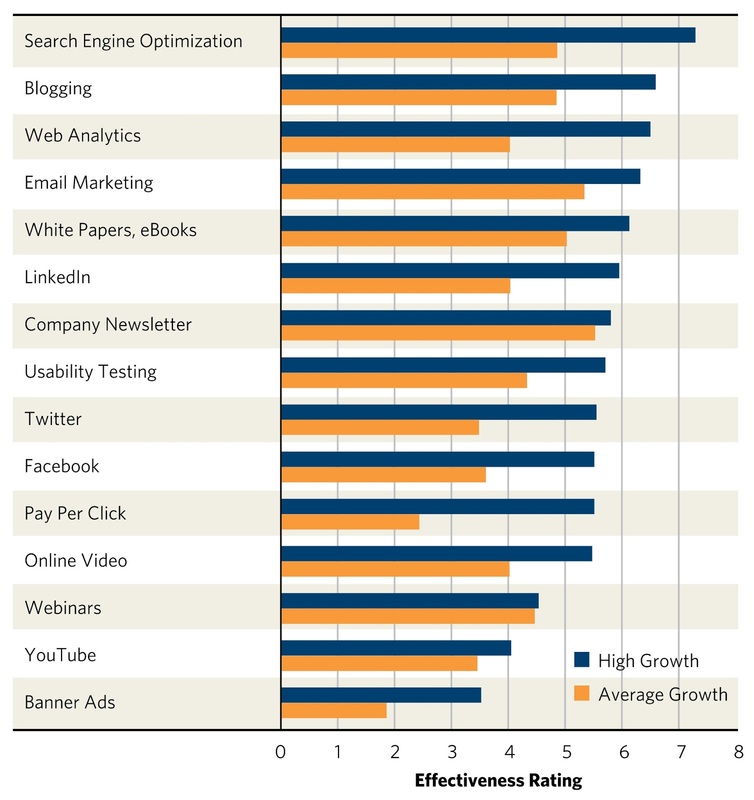 But increased visibility on the web's top search engine (and others like Bing) is something you have to earn, not buy. There are many things you can do for improved SEO for your website, but reputedly the best is to attract more incoming links. Why would people want to connect to your site? Because you offer valuable content that's being regularly updated. Blogging. 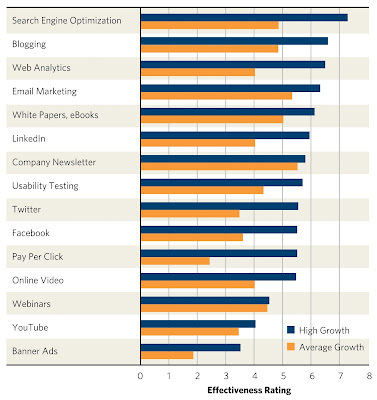 I'm surprised to see this listed so high, because my previous research of best marketing practices has not given blogging high marks. But blogging has some notable advantages when it comes to SEO. It's said that Google favors blogs, in part because they attract more incoming links and have dynamic (regularly updated) content. Therefore, a good way to make your website more visible is to add a blog to it (assuming you keep it updated). There's another value to blogging apart from it's direct marketing impact. Blogging should motivate you to keep producing content, and content is king in marketing professional services. I've been blogging for five years, which has resulted in over 260 posts on different topics. Those posts have been converted into over 50 articles appearing in various print and online publications. They have served as the starting point for many conference sessions and webinars. And I routinely share them with sales prospects and clients. In other words, the value of blogging extends far beyond the blog itself. Email marketing. With blogging you create content to pull in an audience; with email marketing you push the content out to them. The core principle is the same—you must have something useful to share. But the big advantage of email marketing is that you don't need to create your own content. I publish a monthly ezine that goes to hundreds of people who requested to receive it. I always feature one or two of my blog posts, but most of the content I link to is by other authors. Of course, it's best to write some of your own stuff. But you can still provide a service to your readers (and thus valuable marketing for you) without committing to the rigors of producing in-house content. The Hinge study broke out company e-newsletters as a separate practice. I must confess that I'm not a big fan of the typical newsletter that amounts to a commercial about the wonderful things happening at one's firm. If you must do this, please give attention to topics of interest to clients. If you've not really stepped into the world of email marketing, this previous post might be helpful. Social media. I've admittedly been slow to warm to social media because the early hype for it far exceeded the marketing results. But as the Hinge study and other sources indicate, many professional service firms are apparently getting good returns on their social media efforts. Once again, I'm convinced that good content is key. What makes you relevant in the social media sphere is having something of value to share. While I'm hardly a great example of how to market online, my recent experience illustrates its multiplying potential. I've had a couple of blog posts picked up by SmartBrief.com in the last month, which they've circulated through their blog, newsletter, and Twitter. That drew a large audience—over 8,000 in a few days—with numerous retweets and links on Twitter. A few people contacted me via email because they'd read my post, and one executive outside our industry looks like he will soon become a client. So I've got good reason to take steps to strengthen my online marketing in the coming months. Shouldn't your firm? Again, I encourage you to download the free ebook summarizing the Hinge survey. I also recommend Hubspot's excellent free ebooks on various internet marketing topics. SEO has gotten huge but I honestly did not think email marketing could be so fruitful. Seeing the graphs really puts it in perspective. Great info. Hi Nancy, I found a few surprises in this study as well, comparing it to other similar studies. I've seen e-newsletters ranked pretty high but not other aspects of email marketing. Thanks for commenting! Well, according to me there is not any one online marketing technique but all techniques are used according to the need.